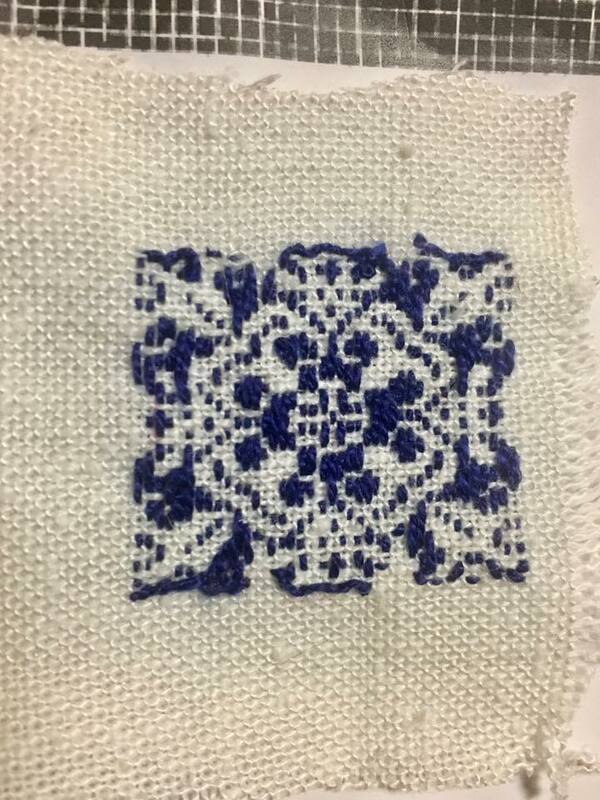 Yesterday, I completed a test piece for pattern darning in preparation for making a faux Perugia towel (period knock offs of a 16th c Italian style of expensive, woven towel) for a Royal presentation gift. I’ve not done pattern darning (or much counted work) before this, so I was pleased to find it easy enough (albeit fiddly and requiring a lot of concentration) to execute. I perused many sources to find out about the method of pattern darning, and discovered that Hanson (2003*) and de la Bere (2006**) were rather useful. I used blue silk thread purchased from White Wolf and the Phoenix and used linen from my fabric stash for the base. The pattern I chose for my test piece was a rose published in Vinciolo (1609***) and one repeat took me somewhere between 4-5 hours of work. 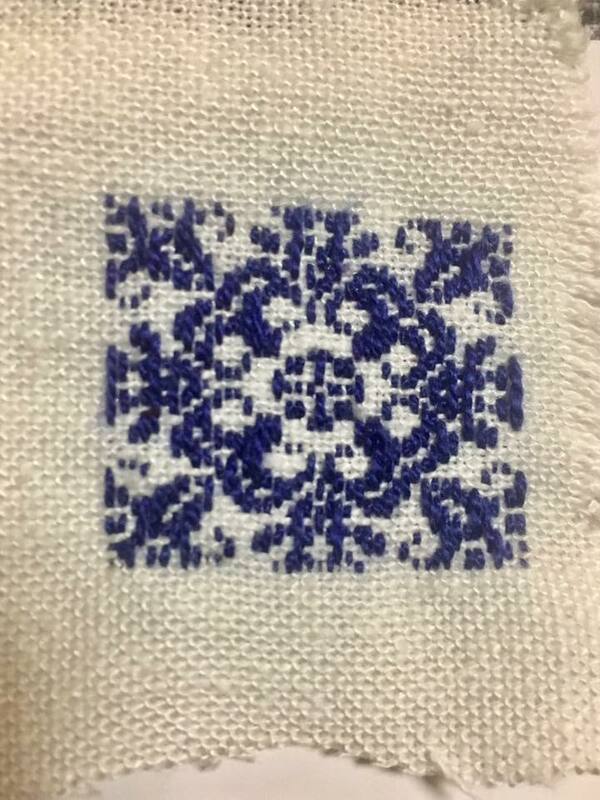 I’m pretty happy with how it turned out and am looking forward to the challenge of making the towel. 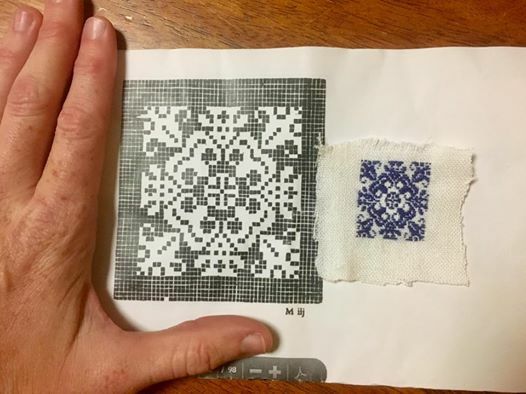 The three images are of the front of the test piece with the pattern from Vinciolo, a close up of the front, and a close up of the back. A close up of the front of my pattern darned rose. A close up of the back of my pattern darned rose.